Often overlooked in Northern Europe is the United Kingdom. The north of England even more so. However, if you make the effort to visit a northern city such as Newcastle you’ll be rewarded with postcard perfect views. 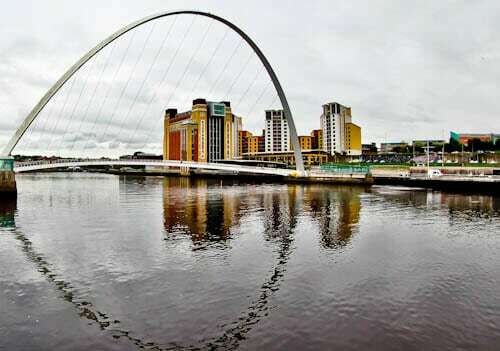 Firsty, the most picturesque part of Newcastle is the River Tyne and bridges which cross it. Secondly, the center features some of the best shopping in England as well as Newcastle Castle. 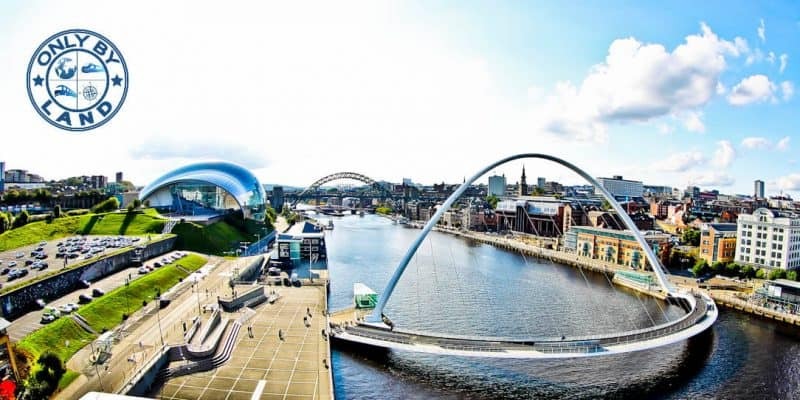 Lastly, for those who take a tour outside the city, you can visit the Roman Hadrian’s Wall, Angel of the North and Beamish which is one of the best museums in Britain. Edinburgh needs no introduction. Simply put, everybody should visit Edinburgh at least once in their lifetime. Personally, I’ve been twice and I still have a desire to visit! It’s famous for Edinburgh Castle and the Royal Mile but it also has a dark past which you can discover in the Edinburgh Underground City. In addition, it’s also the home of Scottish Rugby and the largest stadium in Scotland. 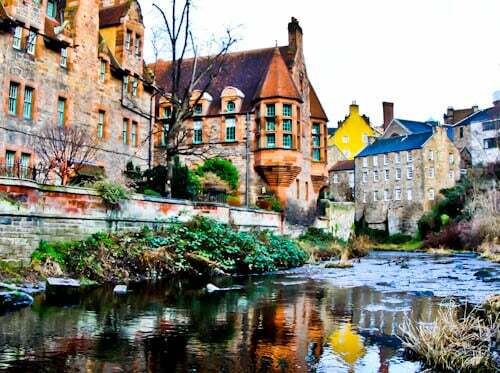 For photographers, I highly recommend a visit to the picturesque Dean Village. If you need more Edinburgh inspiration, read about these 36 iconic Edinburgh landmarks on my travel blog. Lithuania, Latvia and Estonia are the lesser visited countries of Northern Europe. However, they’re incredibly easy to visit as they’re part of the EU. 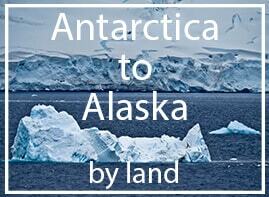 Moreover, they’re incredibly cheap to visit, especially in comparison to their Scandinavian neighbors. What fascinates me about these countries is the grand architecture. 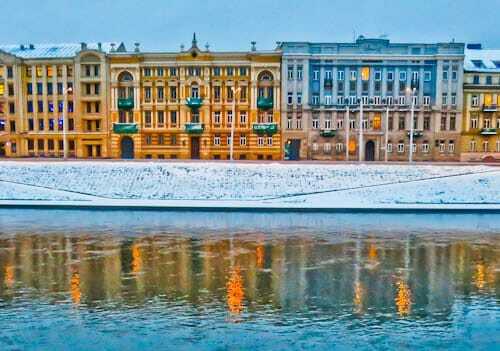 A walk through the Art Nouveau district of Riga, Latvia in particular rewards anyone visiting this region. Copenhagen became famous for being the happiest city on earth. For this reason alone, it warrants a visit. But what is there to see there as a tourist? 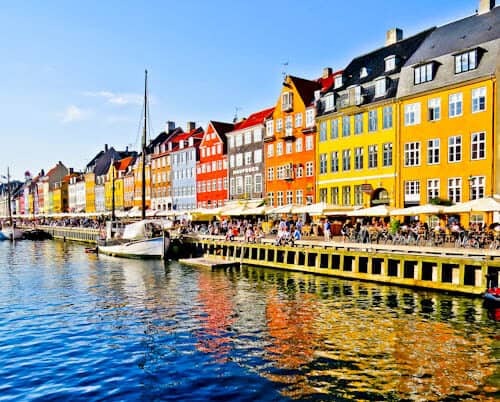 Its most famous site is Nyhavn which features colorful houses as well as the former home of Hans Christian. In addition, there are castles, harbor views, the little mermaid and one of the world’s best restaurants. However, like Edinburgh’s historic underground, there is an interesting dark side to Copenhagen called Christiania. Finally, visit the official Copenhagen Tourism page for more travel inspiration and which season to visit. 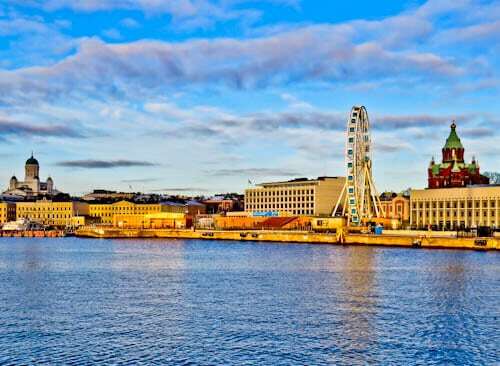 The city of Helsinki is a modern, well organised Scandinavian city. Its iconic landmarks are the churches which include an underground church chiseled into rock. A short boat trip from Helsinki is the UNESCO island of Suomenlinna which is an 18th century fortress. One thing you must try in Helsinki is a sauna. Finnish people love a sauna and there is even a sauna in a Burger King in Helsinki! 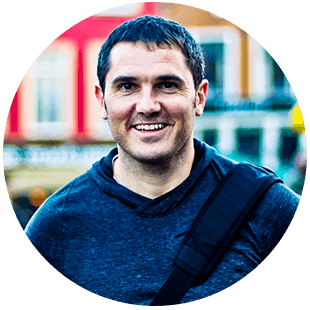 Stockholm is the capital city of Sweden but what is there to see there? Funnily enough, it’s a popular destination for ABBA fans! It’s home of ABBA and the ABBA museum. 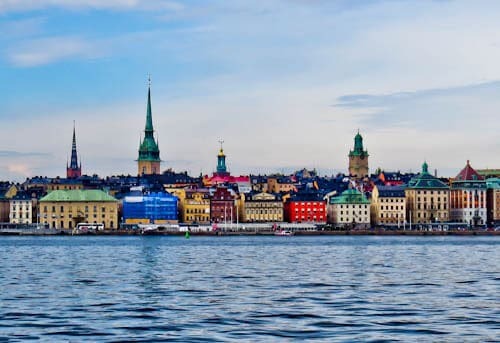 Additionally, you can visit the old town of Gamla Stan which features several picturesque colorful houses as well as souvenir shops and restaurants. Did you know Sweden has a royal family? You can visit the royal palace area and also take your photo with a Swedish royal guard. Read more about the landmarks of Stockholm on my travel blog. Tromso is the biggest city in Northern Norway. A must in Tromso is take the cable car to the top of the mountain for majestic views. Additionally, Tromso is surrounded by famous Norwegian fjords. 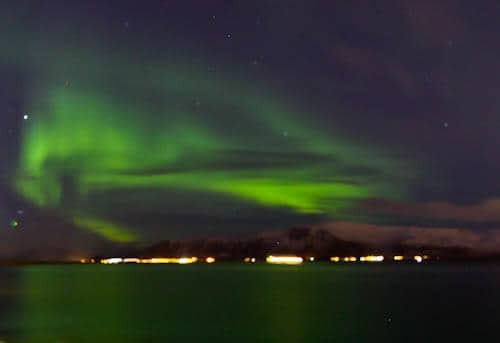 It’s also an excellent part of the world to see the Northern Lights as it’s in the Arctic Circle. 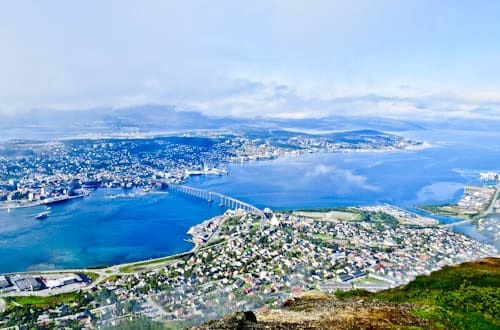 Finally, Tromso is often the last stop on a Northern Europe cruise before heading north to Svalbard, home of the polar bear. The Northern Lights are one of the seven natural wonders of the world. In addition, it’s the only natural wonder you can see from Europe. As a matter of fact, Northern Europe is the best place to see them as it pushes well into the Arctic circle. Furthermore, you’ll be away from any light pollution if you’re on a Northern Europe cruise. I have mentioned a few highlights of places to visit on a Northern Europe cruise. However, with a little more research, you’ll discover there are hundreds of hidden gems to discover. In fact, there is something for everyone in Northern Europe. Whether it’s fjords, sea views, icebergs, glaciers, mountains, architecture, castles, palaces, food, drink, shopping, cruising, history, war, rivers, canals or the majestic northern lights, you’ll be a satisfied visitor. Enjoy! Read more about Northern Europe on my travel blog.